Jamie here to share another Christmas project with you! I made some cute little purses with the Fancy Topper Die. I punch some holes in the top to pull the ribbon through for handles. 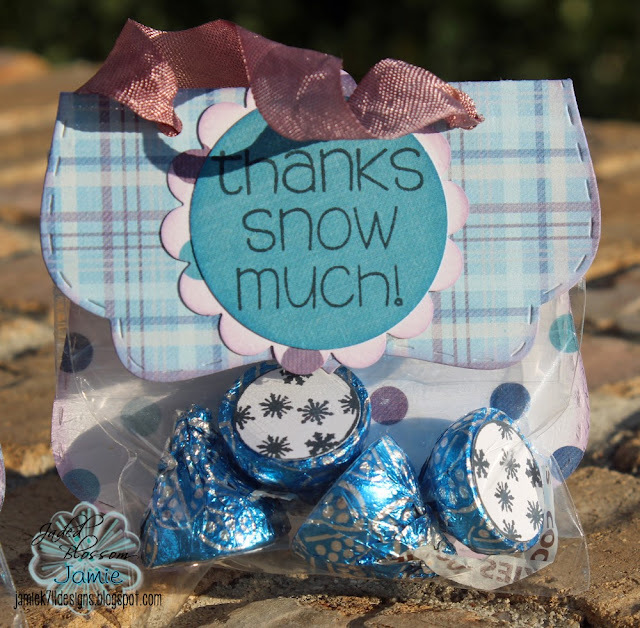 I used a circle and scallop circle punch for the sentiment. 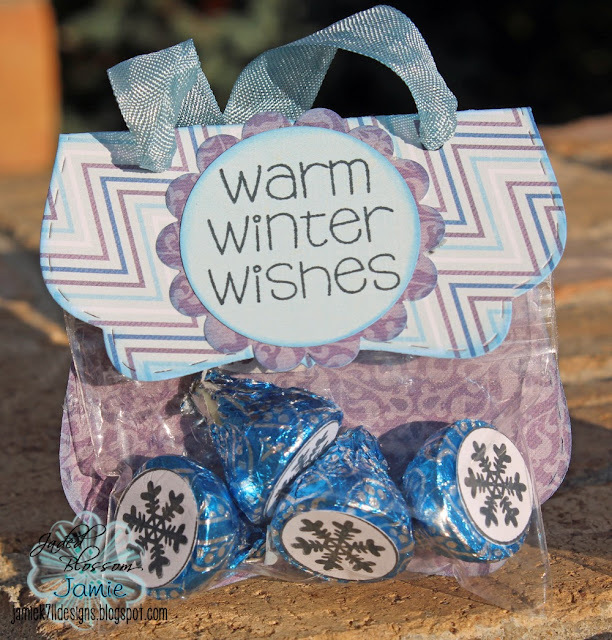 Then I add some candies stamps to the kisses. 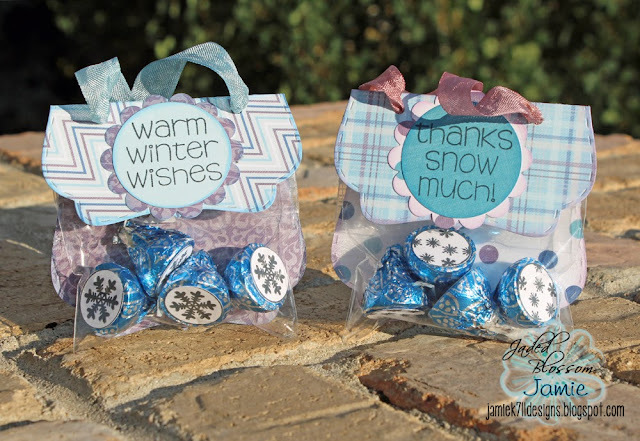 Awesome Treat Bag idea. Love it. Lovely idea! Thank you for sharing!